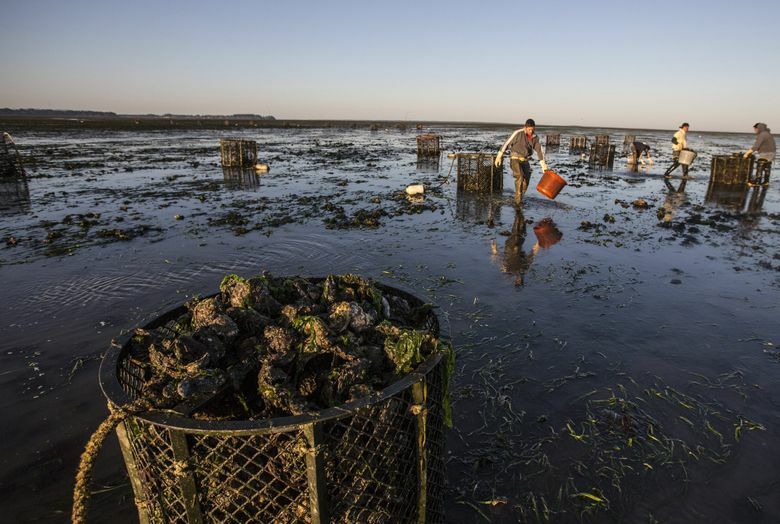 The Department of Ecology has denied approval for a controversial plan to treat oyster beds with the pesticide imidacloprid, calling it "too risky for Washington’s environment." A public furor, including vociferous protests from Seattle chefs such as Renee Erickson of renowned oyster bar The Walrus and The Carpenter, halted an initial effort in 2015 to use the pesticide in Washington’s Willapa Bay and Grays Harbor. Those beds produce 25 percent of the nation’s oysters. The Willapa-Grays Harbor Oyster Growers Association (WGHOGA) said it needed to use the pesticide to control native burrowing shrimp. Locally based international company Taylor Shellfish originally worked to get approval for the pesticide’s use, then, bowing to public pressure, backed off the plan, and WGHOGA subsequently withdrew the application. Then, last year, WGHOGA renewed its efforts to get permission to spray oyster beds with imidacloprid. The new proposal involved fewer acres — 500 acres per year, rather than 2,000 in the previous permit — and for the tidelands to be treated with imidacloprid by hand or ground equipment, rather than the originally proposed helicopters. The growers cited economic losses due to the burrowing shrimp, which can cause destabilization of the tideflats such that the oysters sink down into the sand and suffocate. Without some control of the shrimp, the growers said, they’d lose their oyster beds or a portion of them. But in a statement, Department of Ecology director Maia Bellon says, “We’ve been working with this community of growers for years to move away from chemical pesticides and find a safer alternative to control burrowing shrimp. Citing “national and international concerns surrounding the use of neonicotinoid pesticides and their environmental impacts” and new research pointing to “greater impacts in land and water ecosystems than previously known,” the Department of Ecology’s environmental review “found significant, adverse, and unavoidable impacts to both sediment quality and invertebrates living in the sediments and water column.” Key factors in the denial of the permit, according to Ecology, are negative impacts to juvenile worms and crustaceans in areas treated with imidacloprid and nearby areas covered by incoming tides; negative impacts to fish and birds caused by killing sources of food and disrupting the food web; concern about nonlethal impacts to invertebrates in the water column and sediment; and increased uncertainty about long-term, nonlethal, and cumulative impacts. In a statement, WGHOGA “denounced as political” the Department of Ecology’s decision. “To us, it seems like Ecology has been laying in the weeds, delaying action on our permit application, and politicizing the future of our farms,” WGHOGA President Ken Wiegardt says. “If this political, non-scientific decision stands, burrowing shrimp will continue to destroy our oyster beds and severely damage our industry, our estuary and our entire rural economy.” Wiegardt maintains that the necessity for imidacloprid use as well as the environmental safety of the proposal have been clearly demonstrated, stating that Ecology has reversed its stance since its Draft Supplemental Environmental Impact Statement in September 2017. More information is available on the Department of Ecology’s website. The decision becomes official after a public comment period ending May 14, and a monthlong period of possible appeal.